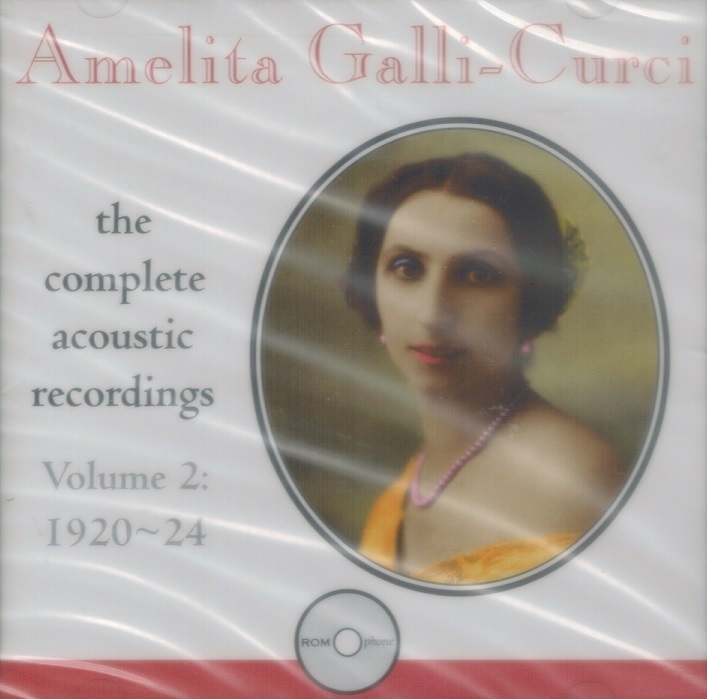 "...Amelita Galli-Curci, whose bell-like coloratura voice set the standards for her competitors in the 1920s. She was the heir to Tetrazzini's roles and, by my standards at least, outdistanced every other coloratura of her era." "Ward Marson's [Galli-Curci] transfers, made from immaculate originals, are perfection. This disc, another unqualified triumph for Romophone, is enthusiastically recommended." 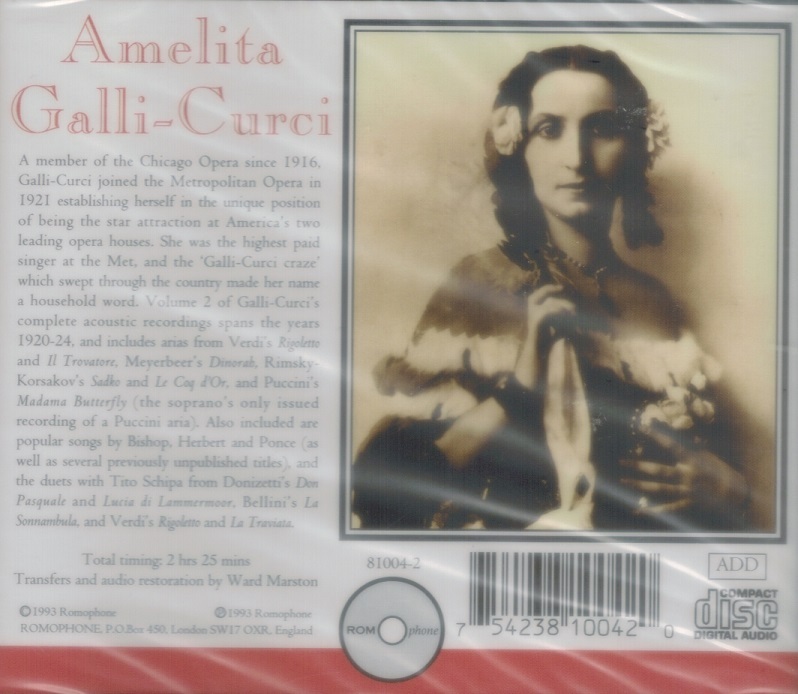 “Amelita Galli-Curci was one of the first female operatic stars of the phonograph. Among the many tributes paid her was one from Compton Mackenzie, the founder of Gramophone magazine, who said he could accept old age if he had as many records of Galli-Curci as of Caruso. Her background was Italian and Spanish. 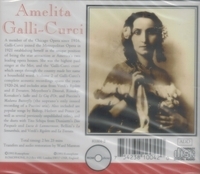 Born Amelita Galli, she was a piano student in a well-to-do musical household. The well-known opera composer Mascagni visited her parents and on hearing her play and sing recommended that she become a singer. After that, Amelita diligently taught herself. She made her début in 1906 as Gilda in RIGOLETTO, which remained a favorite role, and she took about ten years - a fairly typical amount of time - to become a star. She married the Marchese di Sineri and added his family name of Curci to her own. On her birthday in 1916 she scored a major triumph in Chicago, in RIGOLETTO, that made her an international star. She had a fluid, clear, very beautiful voice and a great gift for sustaining lyric lines. She was at her best in roles calling for grace, pathos, and happiness and had neither the stage temperament nor the dramatic style needed for fiery, tempestuous parts. She is said to have lacked stage presence. Her voice recorded very well, particularly in the acoustic process, where it was taken down with such clarity and resonance that listeners supposed it was a large-sounding voice, which it was not, in person. The adjective that live listeners used frequently for her voice was ‘celestial’. Her range at her peak was to the E above high C.